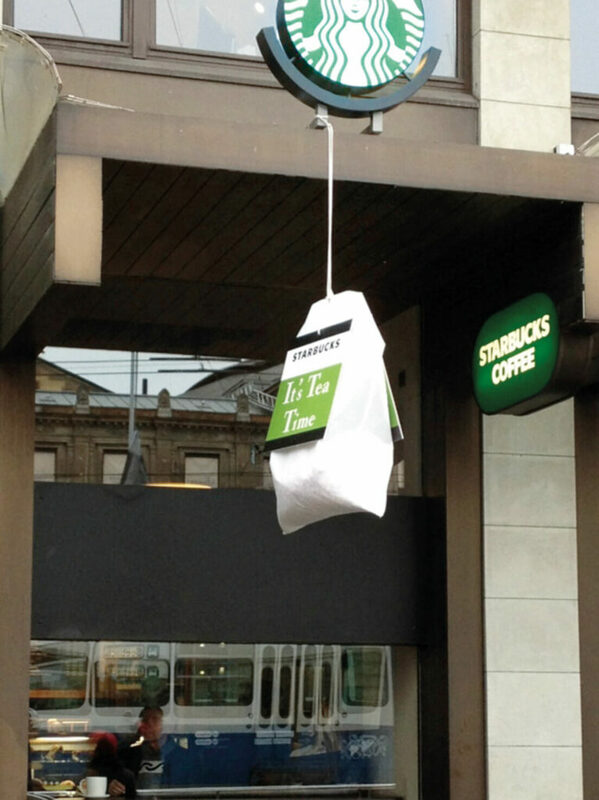 Starbucks was looking for a new way to promote their tea. 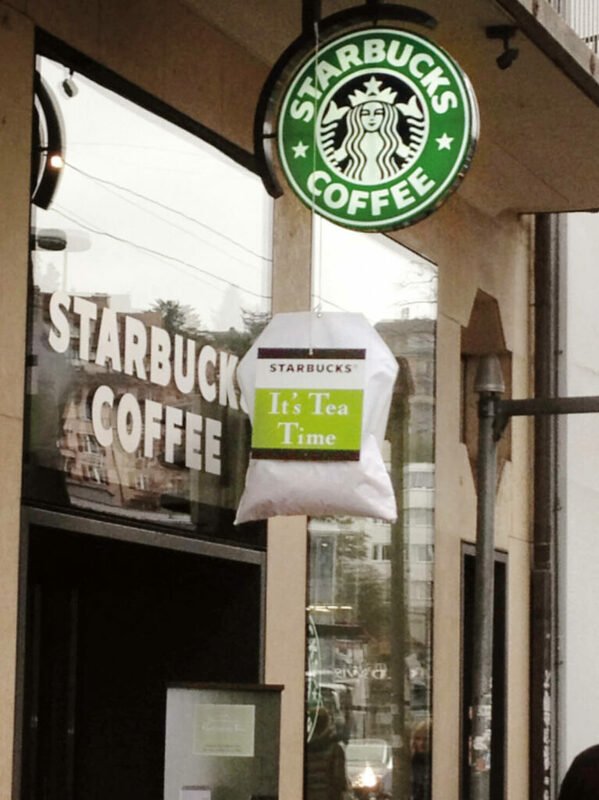 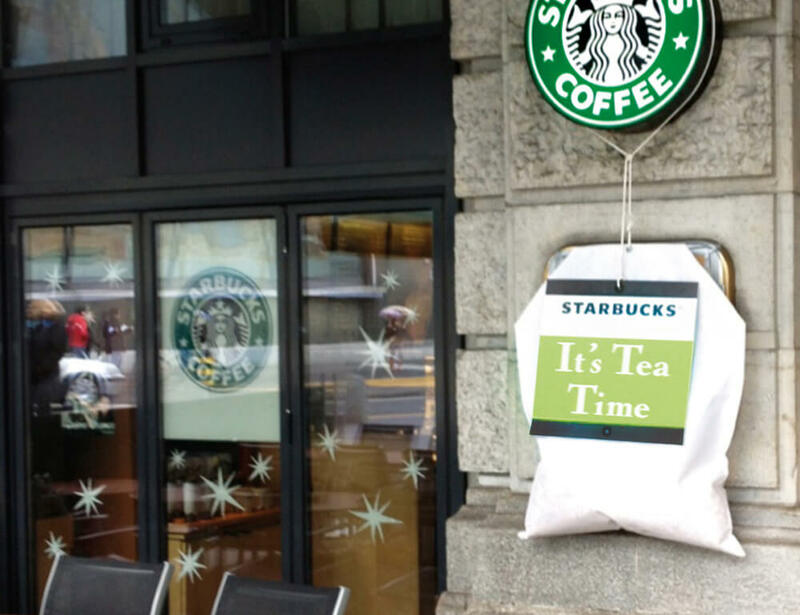 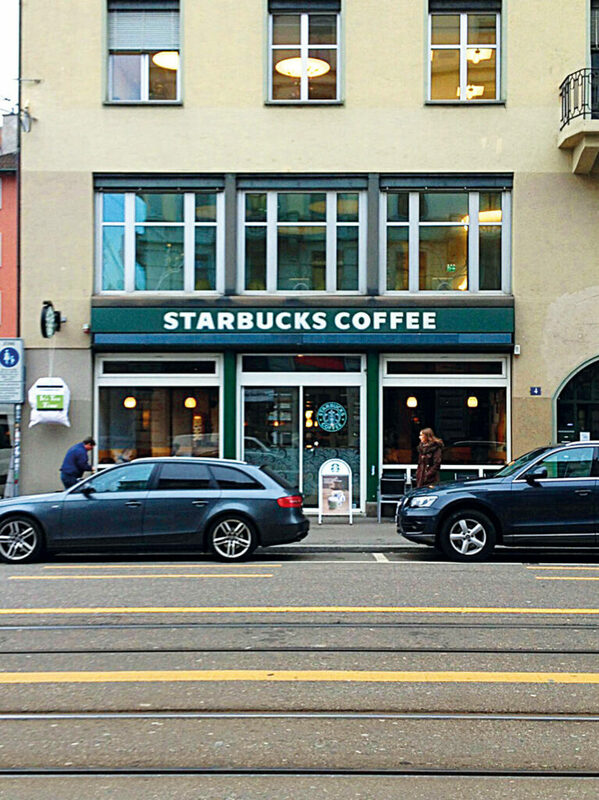 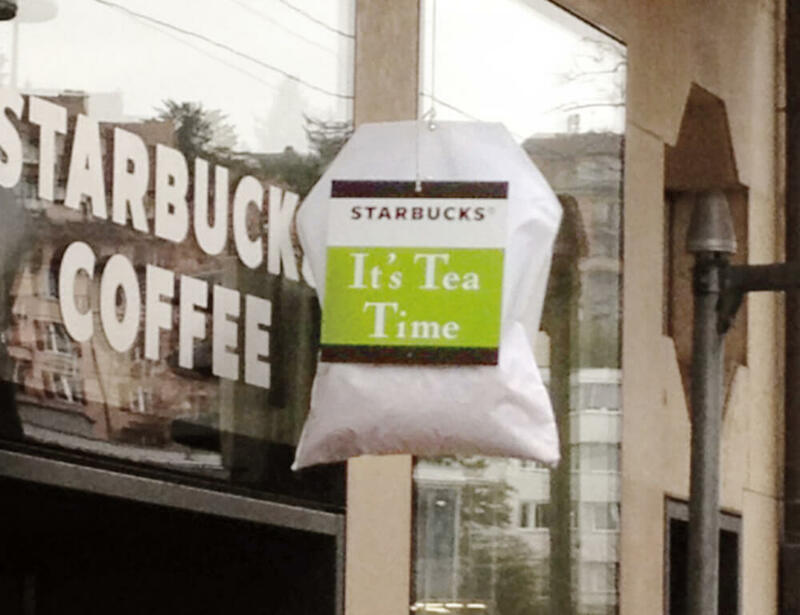 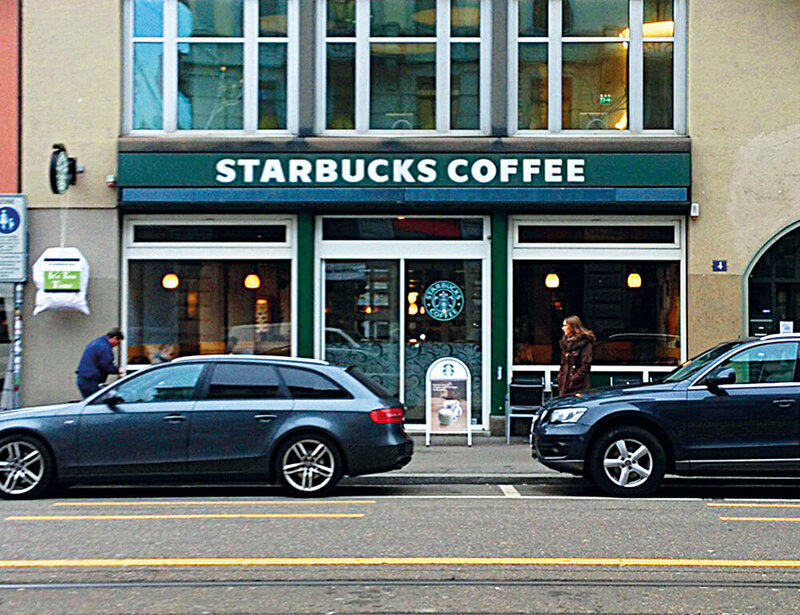 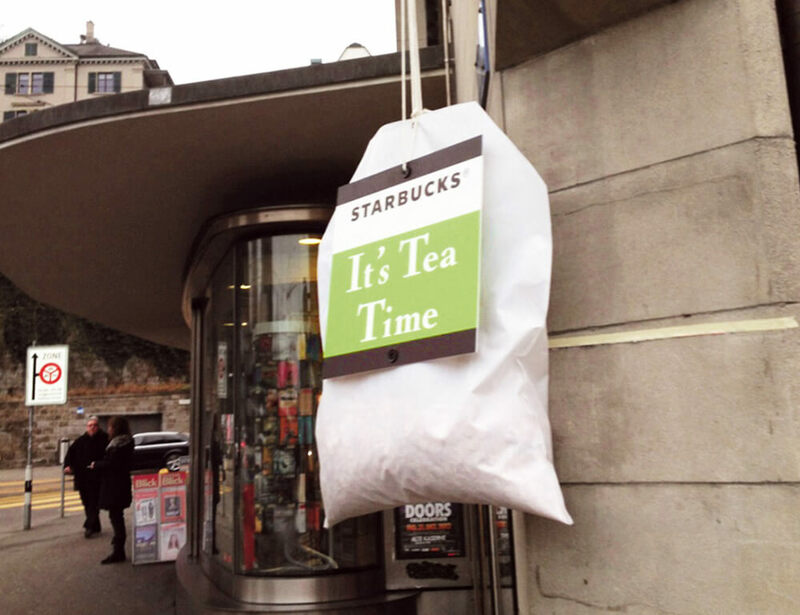 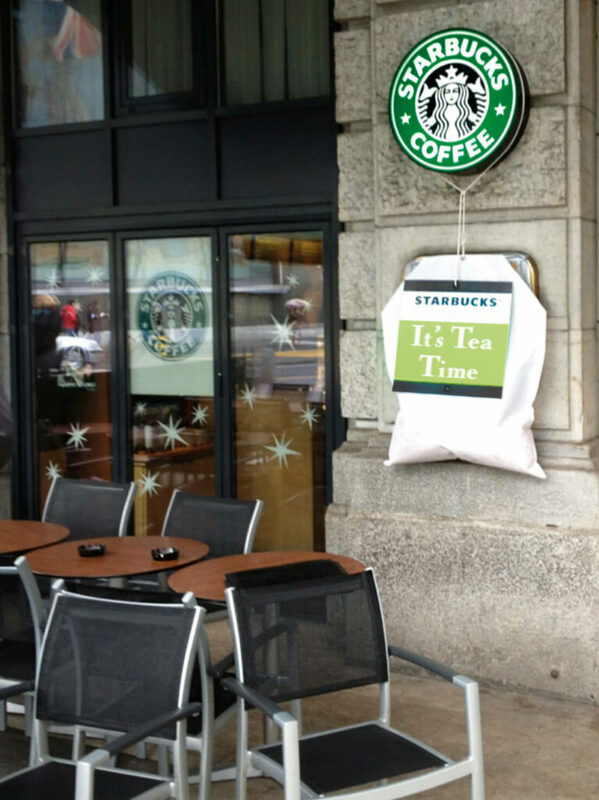 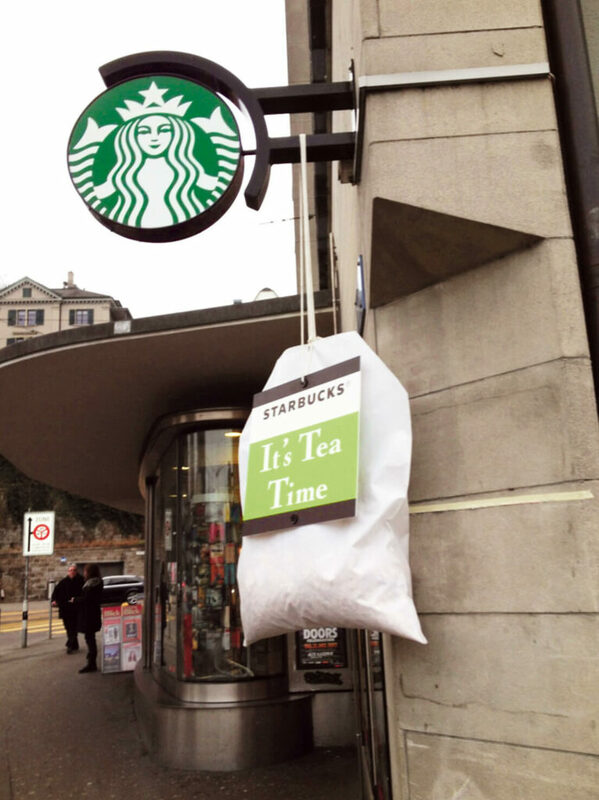 Oversized tea-bags were placed in front of Starbucks locations across Switzerland and Austria. 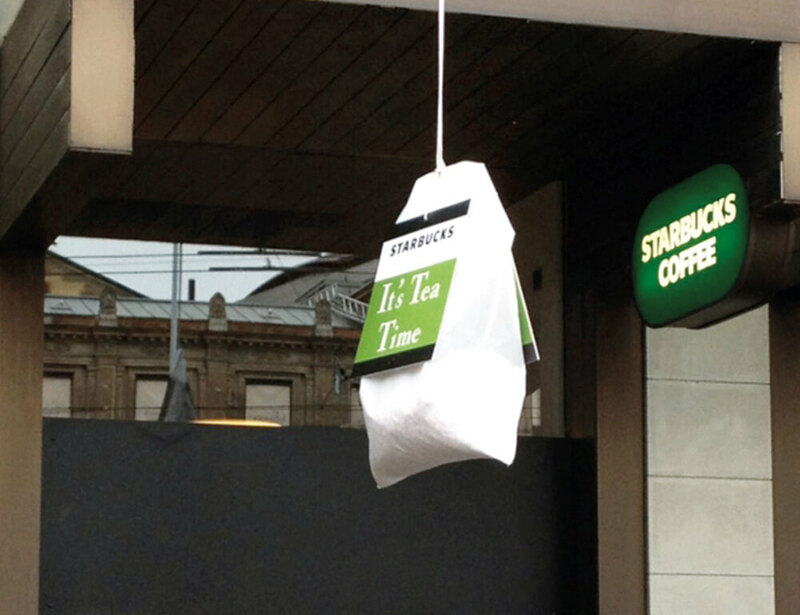 The concept drew so much attention that people ended up stealing them.